I'm a little late in getting this photo-filled post up, but my computer is still having "issues" and for some reason didn't recognize my camera so I could share my photos. It's now officially the most wonderful time of the year. No, I'm not talking about Christmas...it's baseball season!!! Kevin's team won their only tournament game last Sunday. We're still waiting to hear when the rest of the tournament will be played. He had two league games last week and they won both. 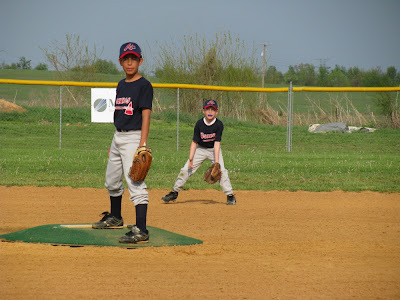 He played 2nd base during the tournament and for the first game. For their Thursday game, he was in centerfield. Kevin is happy wherever they play him. Blake had two tournament games on Sunday. They went 1-1. 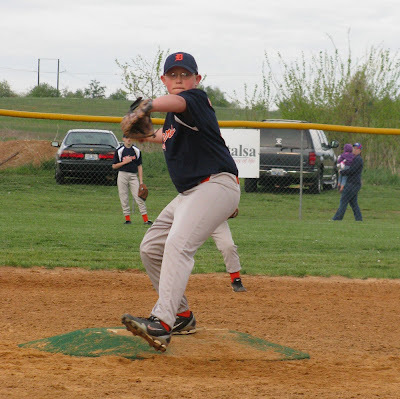 Blake pitched a really great game in their loss. It was a close one. So far this year he's played catcher, pitcher and 1st base. They lost one league game and had another called due to weather. Tonight's game has already been called because of all the rain we've been having and continue to have. It's going to be a crazy season! Last Tuesday, Blake's Scout Troop had their Court of Honor. 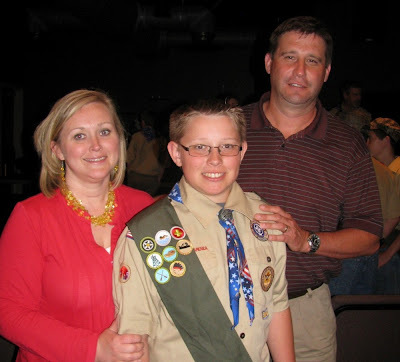 Our boy was honored with six merit badges that he's earning since the COH in May. He was also recognized for his recent advancements. He's earned both 1st Class and Star since May. And, we are proud to say that he was elected as Patrol Leader for his patrol. We are so proud of this kid! 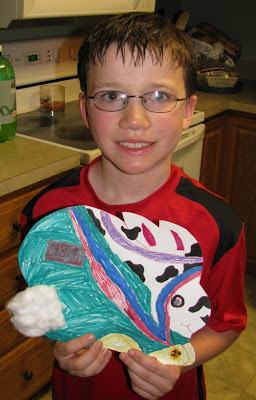 With Easter approaching, Kevin's class decorated bunnies. We didn't go all out like we had for the turkey back in November, but he still had a great project to submit. He decided to enter "Racin' Rabbit" into the contest. Everybody was a winner. More storms are headed our way. I'm ready for some sunshine! Getting a taste of our season with all that rain--ha! Congrats to Blake on his accomplishments--and he is almost as tall as you are! Miranda is catching up to me as well.